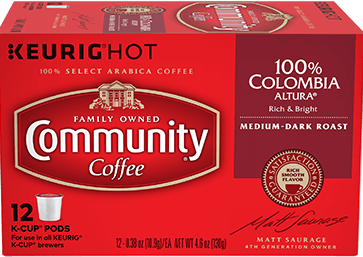 Community Coffee K-Cup that is 100% Colombia Altura and has a rich flavor. This is a medium-dark roast coffee. 12 K-Cups pods per a box.